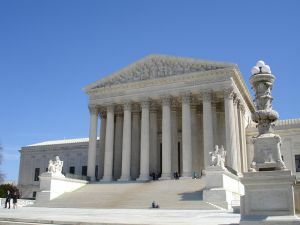 The United States Supreme Court will be deciding two employment-related class action cases that could alter the landscape for class action suits in the future. This term, the United States Supreme Court will be deciding two employment-related class action cases. According to the Society for Human Resource Management (SHRM), the decisions in these cases could alter the landscape for class action suits. Betty Dukes, a Wal-Mart cashier and greeter, originally filed suit against the retailer under the Civil Rights Act of 1964, which prohibits discrimination on the basis of race or gender. The case evolved into a class action which, according to an AP report, could involve over one million current and former female employees of Wal-Mart. The suit, filed in the United States District Court of the Northern District of California, specifically alleged that male employees were promoted faster and to higher positions than women. By a narrow 6-5 margin, the Ninth Circuit Court of Appeals ruled to certify the class. Wal-Mart appealed, and in December, the U.S. Supreme Court granted certiorari to hear arguments on the case. According to Forbes Magazine, one of the crucial issues in the case surrounds Rule 23 of the Federal Rules of Civil Procedure, which governs the formation of class actions. The Supreme Court will be asked to decide whether a case with such a substantial number of plaintiffs should be allowed to proceed under Rule 23 and whether the plaintiffs in the case can seek compensatory damages. In Concepcion, the Court will have to decide the rights of consumers to file class actions. In 2006, Vincent Concepcion and his wife enrolled for wireless service with AT&T. According to the lawsuit, the company promised free cell phones, as part of this service. The phones, however, were subject to tax and other charges. The Concepcions filed suit and AT&T subsequently asked the U.S. District Court to dismiss the suit because the contract between the Concepcions and AT&T banned class action lawsuits as a remedy. The Court refused and held that a ban on class actions would violate state law. The Supreme Court heard arguments in November and a decision is expected within the next few months.